We’ve organized a special screening before the movie is officially released in theaters on Wednesday, August 15, 2018! Join us for a fun evening, celebrating a movie with an all-star collection of Asian American talent both in front of and behind the camera. 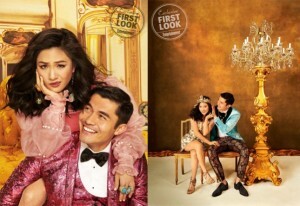 “Crazy Rich Asians” features an international cast of stars, led by Constance Wu (“Fresh Off the Boat”), Gemma Chan (“Humans”), Lisa Lu (“2012”), and Awkwafina (upcoming “Ocean’s 8,” “Neighbors 2”), with Ken Jeong (the “Hangover” films”) and Michelle Yeoh (“Star Trek: Discovery,” “Crouching Tiger, Hidden Dragon”). 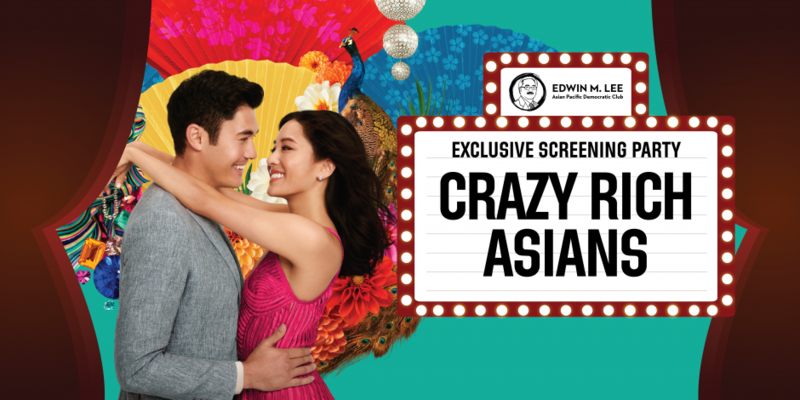 The large starring ensemble also includes Henry Golding, making his feature film debut, Sonoya Mizuno (“La La Land”), Chris Pang (“Marco Polo”), Jimmy O. Yang (“Silicon Valley”), comedian Ronny Chieng (“The Daily Show”), Remy Hii (“Marco Polo”), and Nico Santos (“Superstore”).